22 July 1964: Building contract awarded to Todd Shipyard Corp.
19 November 1966: Keel laid by the Todd-Pacific Shipyard Corp., Seattle, Wash.
7k Ross Franklin Gray was born in Marvel Valley, Alabama on 1 August 1920. 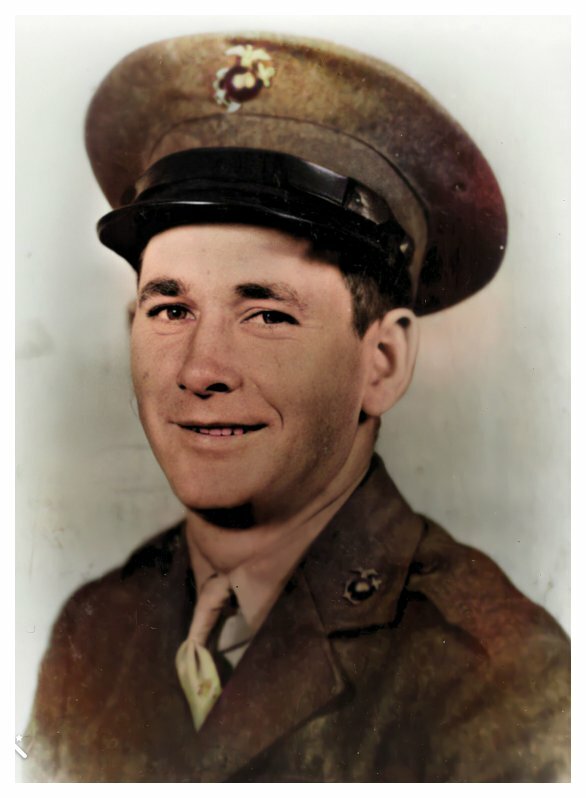 After leaving school and working as a carpenter, Gray enlisted in the Marine Corps Reserve from that state in July 1942 and underwent recruit training at Parris Island, South Carolina. He then joined the Twenty-Third Marines, Fourth Marine Division. 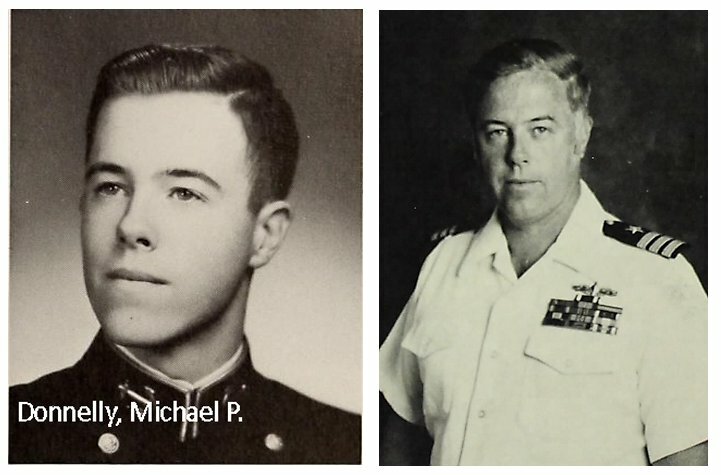 In Spring 1943, he was promoted to Private First Class and transferred to Company A, First Battalion, Twenty-Fifth Marines. Following participation in the Marshalls and Marianas Campaigns in 1944, Gray was promoted to Sergeant and received training in the laying and clearing of minefields. With his unit, he next took part in the bitter battle for Iwo Jima. 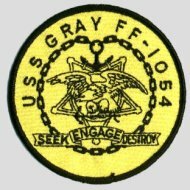 On 21 February 1945, northeast of Airfield Number One, Gray cleared a path through heavily mined area then, while continually under fire, attacked and destroyed six Japanese emplacements with satchel charges. 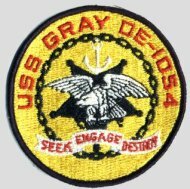 As the intense fight for Iwo Jima continued, Sergeant Gray was killed by an enemy shell on 27 February 1945. For his "conspicuous gallantry and intrepidity at the risk of his own life" during the 21 February action, he was posthumously awarded the Medal of Honor. Ross F. Gray is buried at Ada Chapel Cemetery, West Blocton, Alabama. 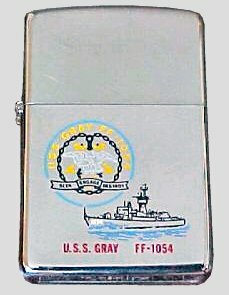 USS Gray (DE 1054) was the first ship named in his honor. 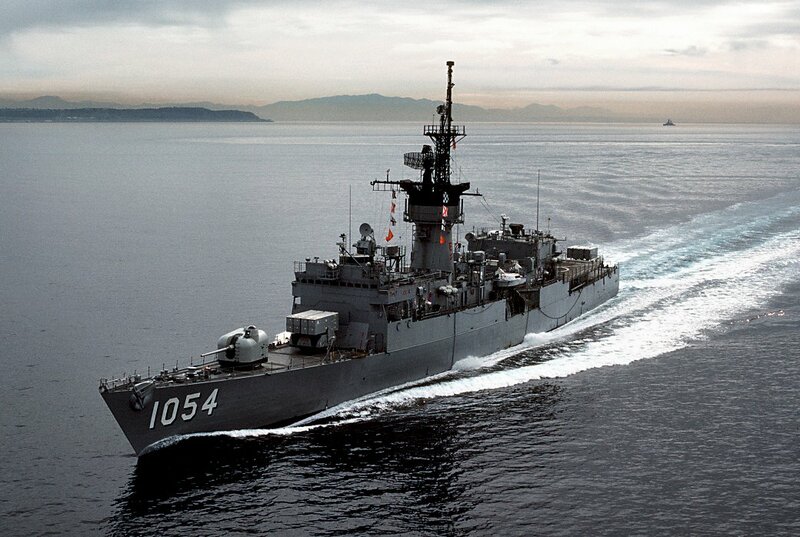 128k no date / location: USS Gray (FF 1054) moored at an unknown port. 245k Summer 1971: San Diego, Cal. 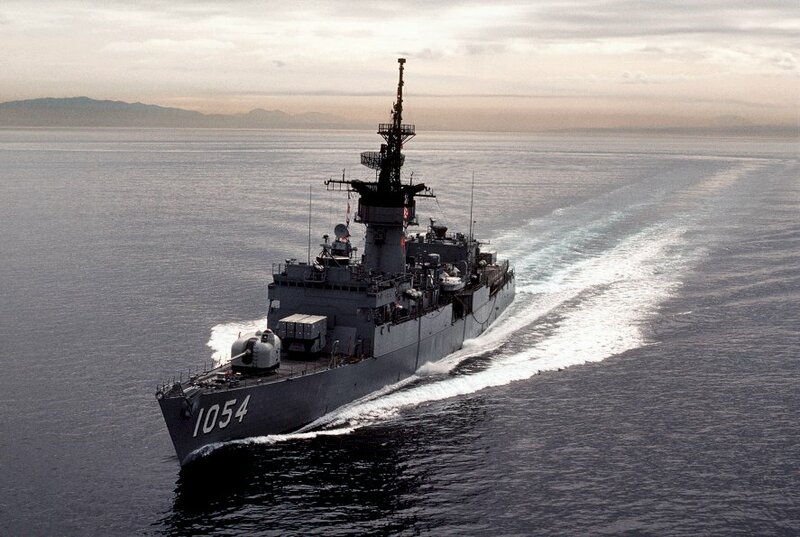 - USS Gray (FF 1054) underway of the San Diego coast. 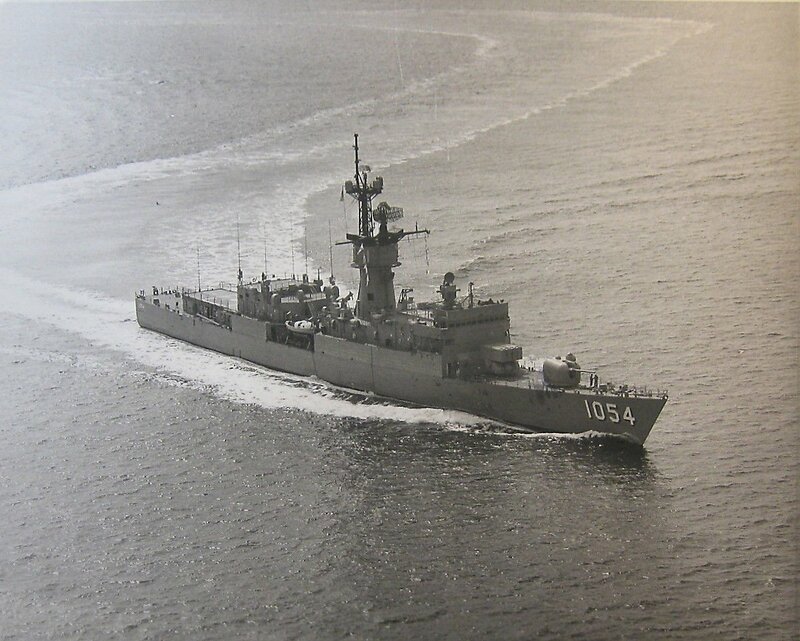 151k 09 March 1982: At sea - A port beam view of the Knox class frigate USS Gray (FF 1054) underway off the coast of California. 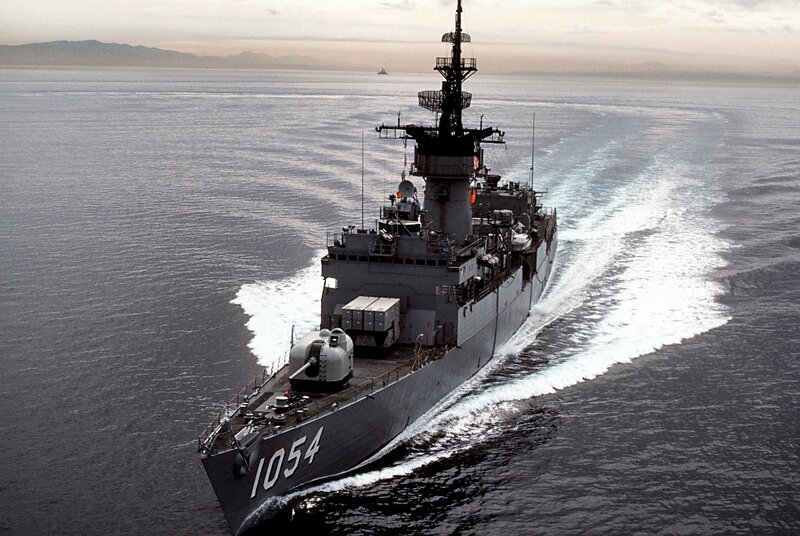 160k 09 March 1982: At sea - A port beam view of Gray underway. 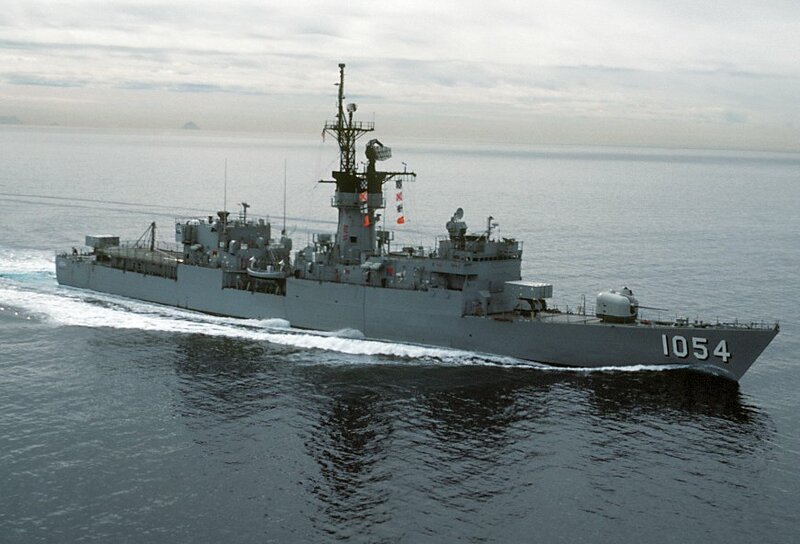 1779k 09 March 1982: At sea - A port bow view of Gray underway. 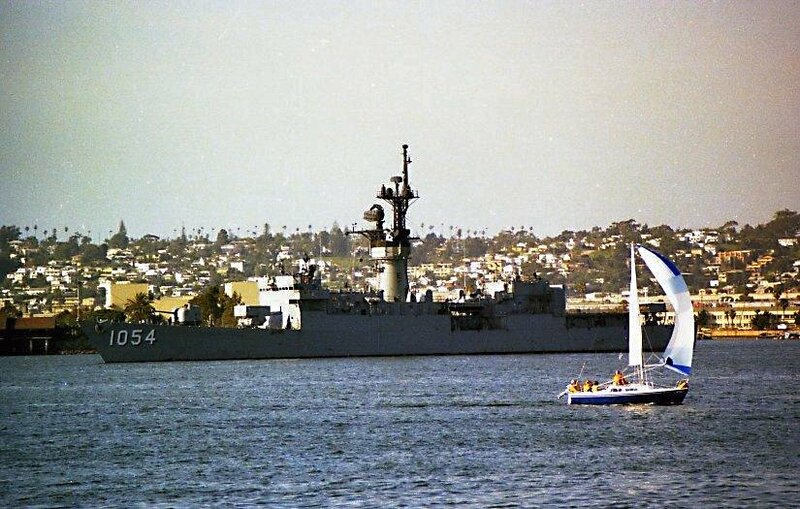 172k 09 March 1982: At sea - A port bow view of Gray underway. 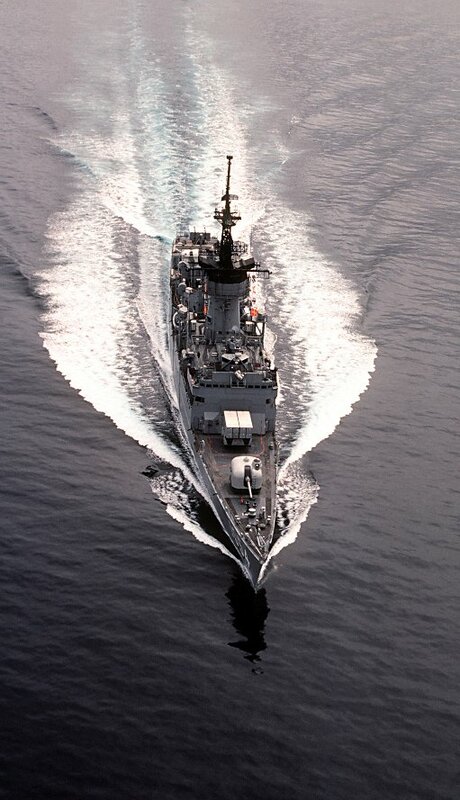 123k 09 March 1982: At sea - A port bow view of Gray underway. 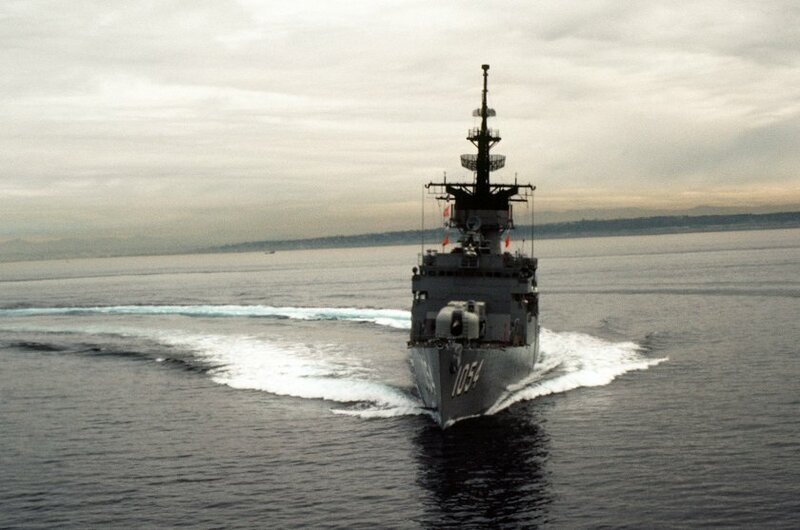 122k 09 March 1982: At sea - A port bow view of Gray underway. 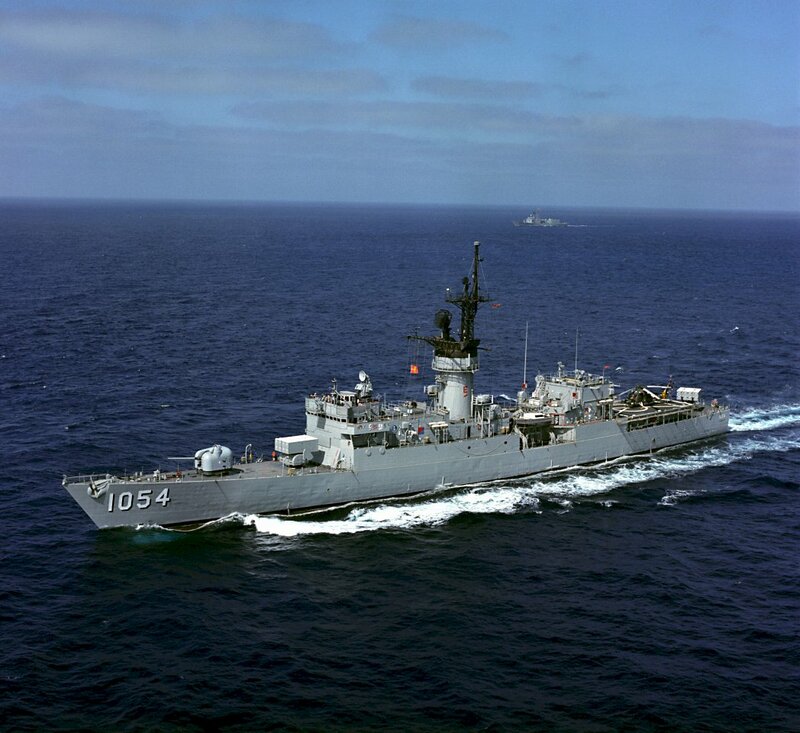 175k 09 March 1982: At sea - A port quarterview of Gray underway. 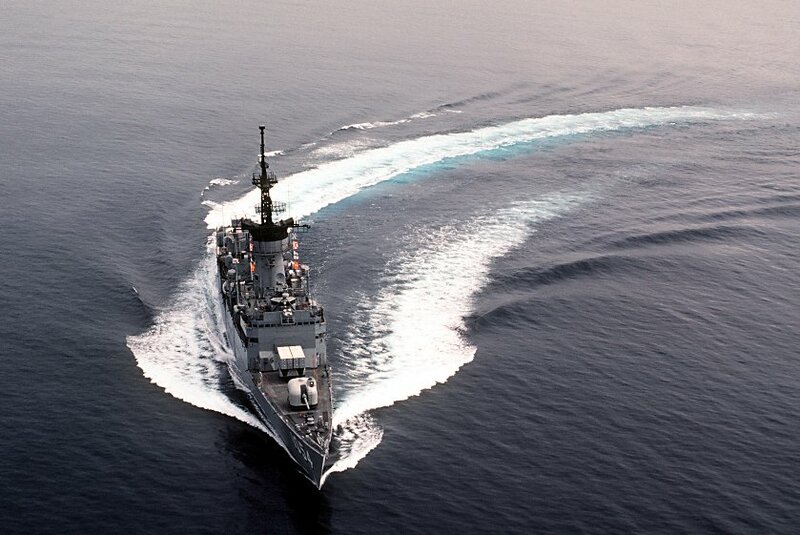 95k 09 March 1982: At sea - A starboard beam view of Gray underway. 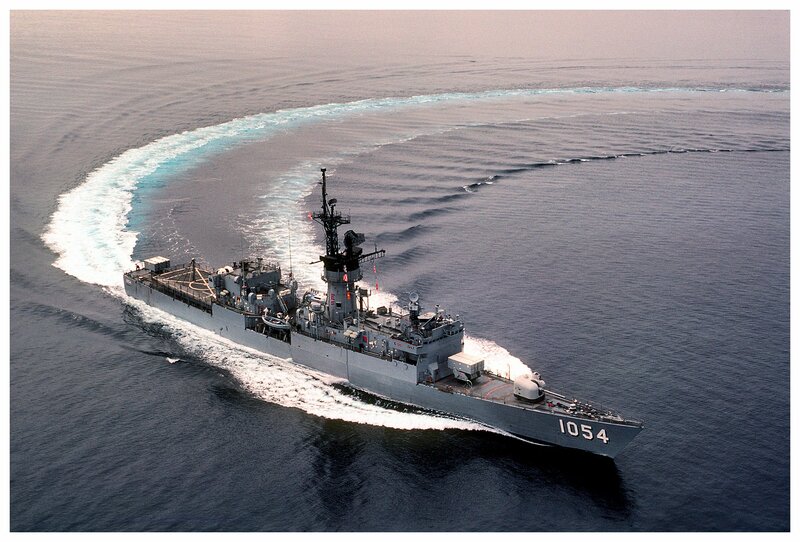 113k 09 March 1982: At sea - A high angle starboard bow view of Gray underway. 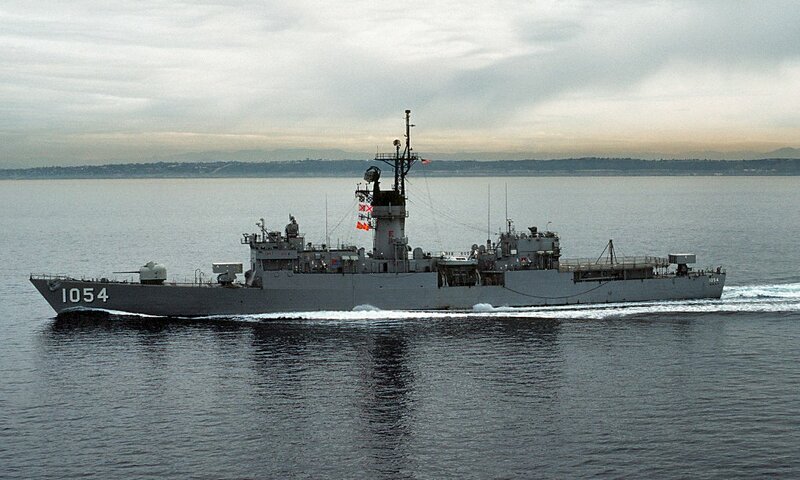 87k 09 March 1982: At sea - A starboard bow view of Gray underway. 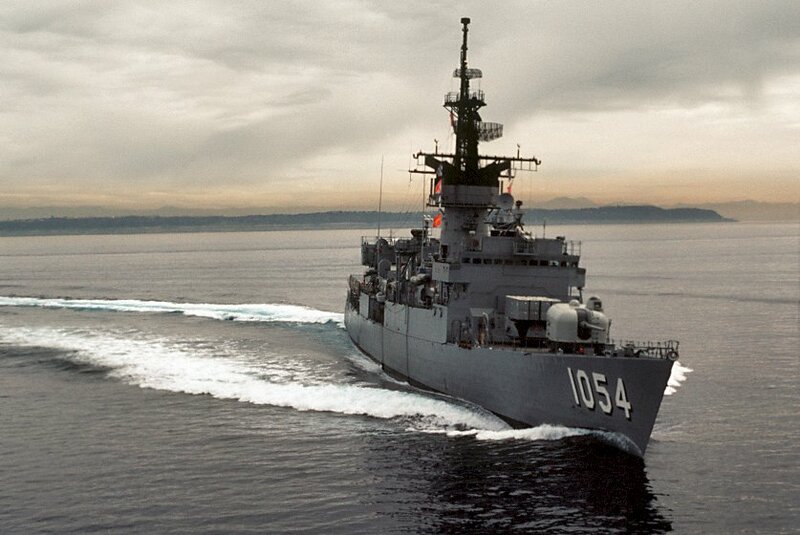 106k 09 March 1982: At sea - A starboard bow view of Gray underway. 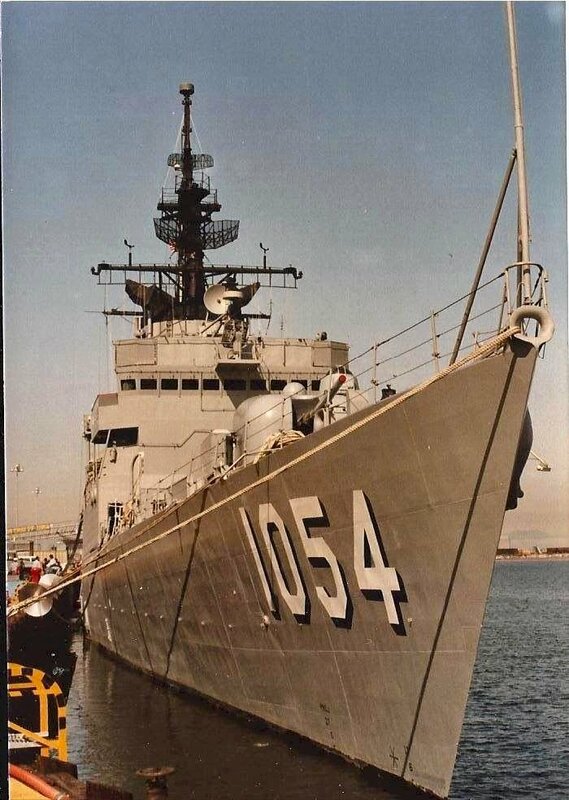 103k 09 March 1982: At sea - A starboard bow view of Gray underway. 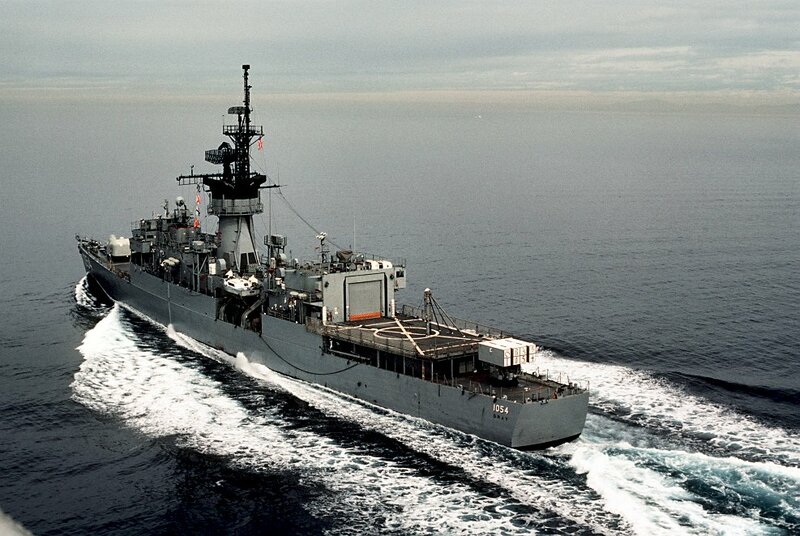 95k 09 March 1982: At sea - A starboard bow view of Gray underway. 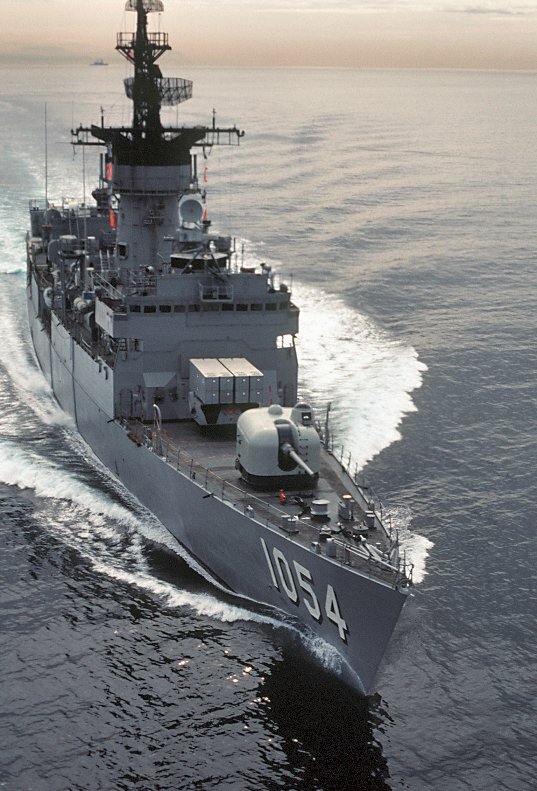 105k 09 March 1982: At sea - A high-angle bow view of Gray underway. 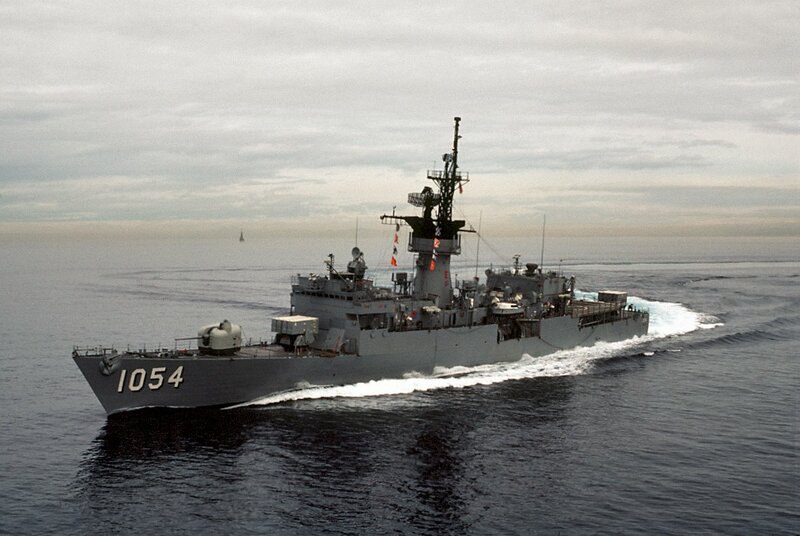 75k 09 March 1982: At sea - A bow view of Gray underway. 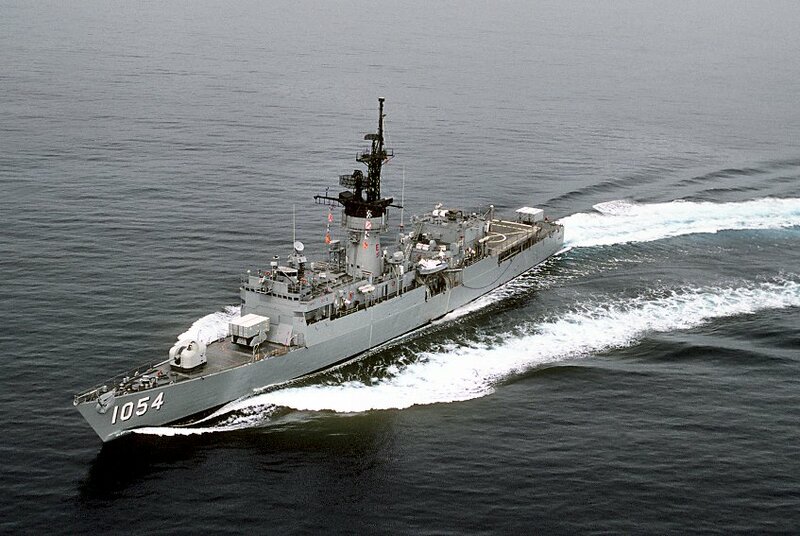 136k 09 March 1982: At sea - A high-angle stern view of Gray underway. 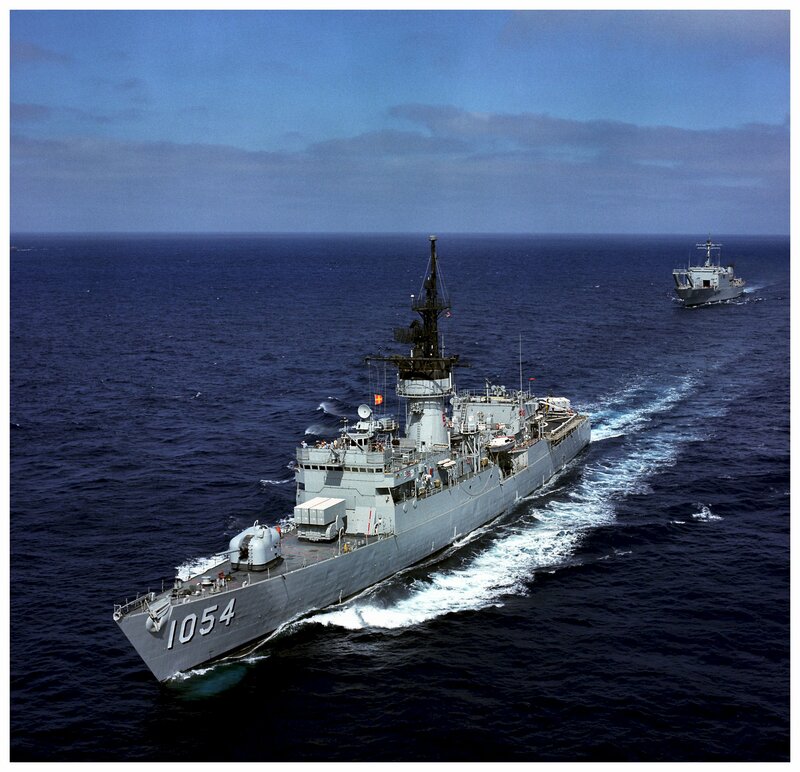 81k 10 February 1986: At sea - An aerial view of Naval Reserve Force frigates USS Wadsworth (FFG 9), USS Duncan (FFG 10), Gray, USS Lang (FF 1060) and tank landing ship USS Racine (LST 1191) underway with fleet oiler USS Cimarron (AO 177), frigate USS Stein (FF 1065), and Canadian guided missile destroyer HMAS Hobart (D-39). 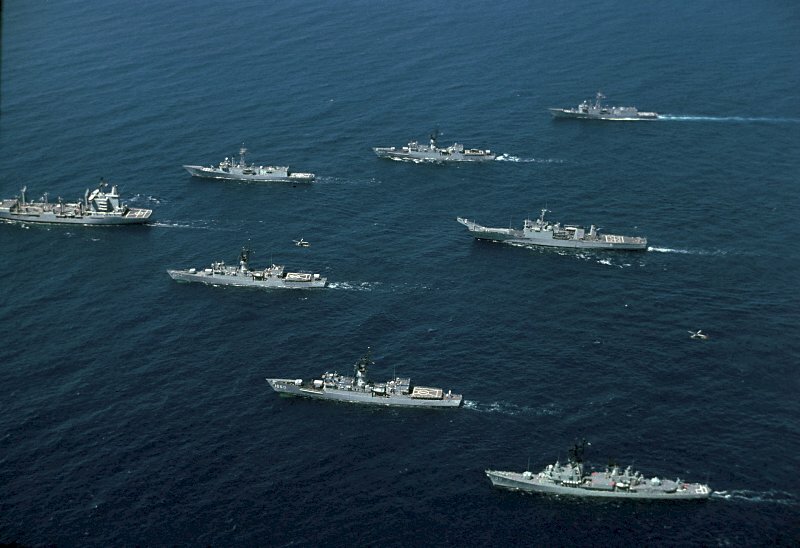 The ships are participating in an anti-submarine exercise off the coast of California. 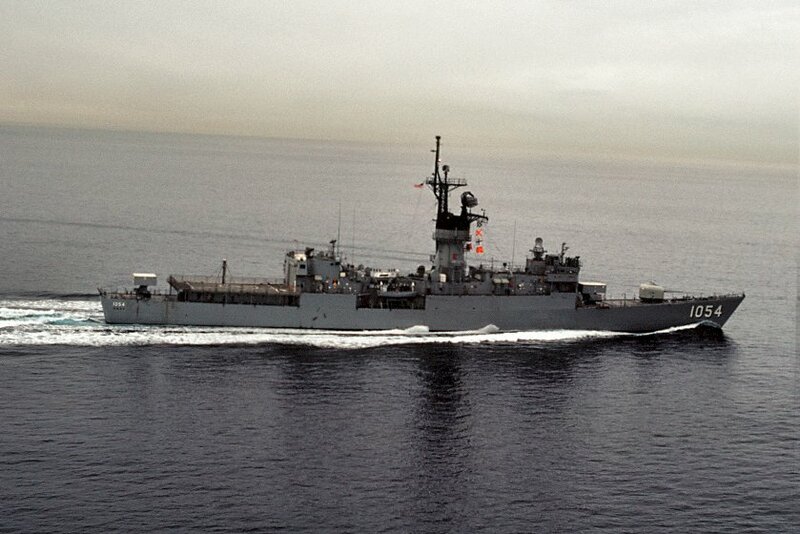 183k 01 January 1987: At sea - An aerial portside view of Gray underway. Exact date shot unknown. 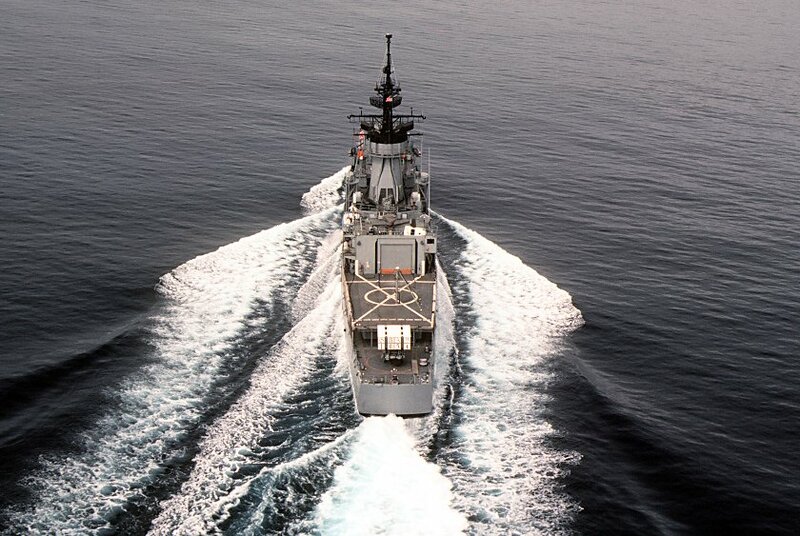 189k 01 January 1987: At sea - An aerial port side view of Gray with the USN Newport Class Tank Landing Ship USS Racine (LST 1191) in trail underway at sea. Exact date shot unknown. 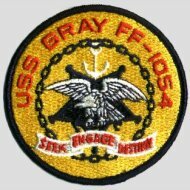 View the USS Gray (DE 1054) DANFS history entry located on the Naval History and Heritage Command web site. 3.) 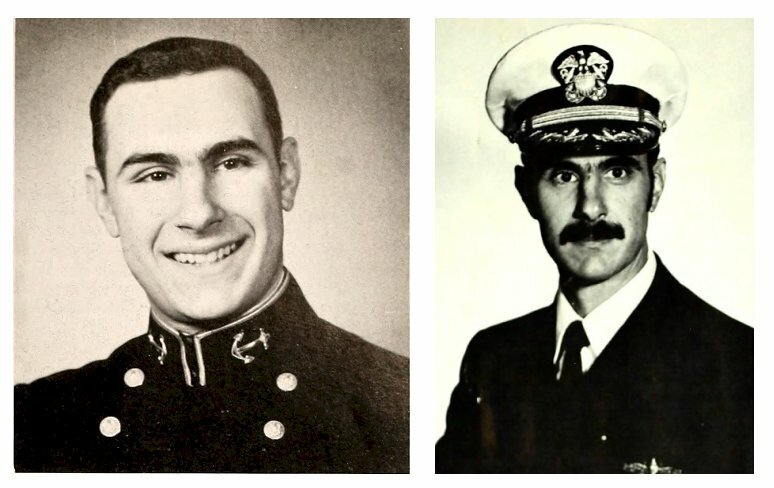 04 May 1973 - 03 Oct. 1974 Cmdr. John P. Walker, Jr. 6.) 21 Apr. 1978 - 16 Jan. 1981 Cmdr. Eigil Lund Hansen, Jr. 11.) 10 Oct. 1989 - 30 Sep. 1991 Cmdr. Wilson Otto Shealy, Jr.
03 September 2015 at Nashville, Tenn.